Scholastic Corp (NASDAQ: SCHL) stock lost over 6% on 22nd March 2019 (As of 10:43 am GMT-4; Source: Google finance) as the company posted lower than expected results for the third quarter of FY 19. 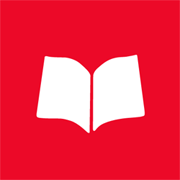 Scholastic said it lost $12.6 million, in the quarter, compared with a loss of $49.2 million in the third quarter of 2018. At quarter end, the Company’s cash and cash equivalents exceeded the Company’s total debt by $327.1 million, compared to $354.9 million a year ago, reflecting the timing of $19.7 million of capital investment in technology, facilities, and other upgrades, as planned, as well as $11.7 million in pre-publication and production costs in the quarter. SCHL in the third quarter of FY 19 has reported the adjusted loss per share of 32 cents, missing the analysts’ estimates for the adjusted loss per share of 27 cents. The company had reported the adjusted revenue growth of 4 percent to $360.1 million in the third quarter of FY 19, beating the analysts’ estimates for revenue of $371.1 million. Children’s Book Publishing and Distribution was up 8% reflecting particularly strong performance in trade and media, while Education was on plan, setting the stage for the fourth quarter where almost half of the year’s revenue is recorded. Trade publishing also performed well in International, though the strong dollar continued to affect revenues. Best-selling titles included Fantastic Beasts: The Crimes of Grindelwald, series publishing such as Wings of Fire, The Baby-Sitters Club graphic novels, and Dav Pilkey’s Dog Man, as well as titles by Aaron Blabey and the 20th-anniversary publishing for Harry Potter. For FY 19, SCHL expects revenue to be in the range $1.65 to $1.70 billion, with the greater part of its education segment sales coming at the end of the school calendar year. The Company continues to experience rising costs for product and fulfillment, as well as incremental book clubs sales tax expense in the third and fourth quarters on the heels of the Wayfair decision. While the Company is offsetting these impacts through cost management and pricing, it now believes that fiscal year 2019 earnings per diluted share, excluding one-time items, will be at the low end of its previous guidance range of $1.60 to $1.70. The Company has affirmed its target for Adjusted EBITDA to be in the range of $160 to $170 million. The Company’s capital investments in technology and facilities upgrades remain on track with capital expenditures now projected to be approximately $80 million in the fiscal year.